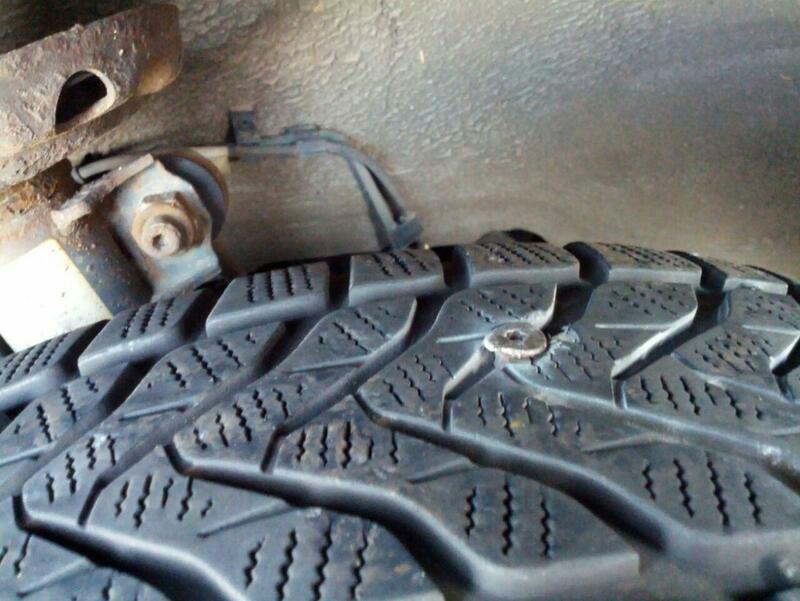 Found a screw in my tire today. None of mine so I guess I’m just a lucky finder. Also lucky that I just reached a traffic jam and was already very slow when I noticed that the wheel insisted to turn left on it’s own. The tire lost air pretty fast and the side-strip was just about to end when the rumbling started. A tiny 3cm long screw in the wrong place. No biggy, I thought. Just grab the spare tire and replace the whole thing as I have done it half a dozen times before. When I unscrewd the tire I noticed that the car was still moving slowly. Hand brake was in use but the car was standing slightly downhill. Trying to tighten the brakes resulted in a torn brake wire. Well, f*ck that. Used the spare tire to make sure the car stays put (gear in place, of course) and went on with the wheel. The wheel refused to go off though. Rusted in place just nicely. I’ve never seen this before in all that years of driving. Tried all tricks – including driving around the block with loose screws later. The tire would just sit put and laugh at all efforts. Without further tools I gave up at that point and reached out for my contracted breakdown service. The tire is now patched but the car rumbles when speeding so I assume something is still not right. I’d guess the rim of the wheel got a beating somewhere during all that. It’s now in the repair shop to re-attach all tires, fix the handbrake and checkup. I wonder how this story will end.